“I am grateful to be able to provide a solution to so many who are escaping Maduro's totalitarian regime,” said Rep. Diaz-Balart. MIAMI — Two Florida congressmen — Darren Soto, a Democrat, and Mario Diaz-Balart, a Republican — introduced bipartisan legislation in the House on Thursday to allow Venezuelans fleeing their country and settling in the United States to become eligible for temporary protection from deportation. 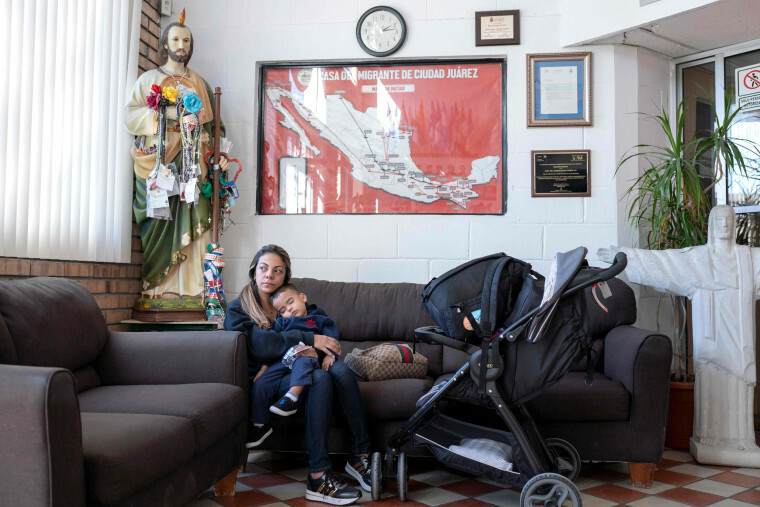 The Venezuelan Temporary Protected Status Act of 2019 would protect such Venezuelans by allowing them to legally remain and work in the U.S. by granting them an employment authorization document. They would also be able to travel without restrictions to re-enter the United States. Their protected status would last 18 months and could be renewed. The U.S. has recently tightened sanctions on Venezuela, including a ban on travel by blacklisted individuals and trade restrictions on gold. Soto emphasized there is bipartisan support in the House and Senate. He said the state's senior senator, Marco Rubio, a Republican, was working with Sen. Bob Menendez, Democrat of New Jersey. The Trump administration has tried to end Temporary Protected Status (TPS) for 300,000 people living in the U.S. from El Salvador, Haiti, Nicaragua and Sudan. In October, a federal judge in California put a hold on the administration’s plans to stop renewing their legal status. In New York, lawyers for the plaintiffs challenging the administration’s decision to end TPS for Haitians in federal court "presented internal government emails showing that the administration was so determined to end the program that it ignored its own government’s research flagging health and safety concerns," reported The Miami Herald. "If there is going to be a TPS approved in this Congress, it would be likely Venezuela,” Soto said. Venezuela is going through a crisis of historic proportions after two decades of socialist rule. Over 3 million Venezuelans have fled economic and political turmoil and settled in nearby countries. Colombia has taken in most of the refugees, followed by Peru. Other Venezuelans have gone to Ecuador, Argentina, Chile, and Brazil. “I am grateful to be able to provide a solution to so many who are escaping Maduro's totalitarian regime,” Diaz-Balart said in a press release. In fiscal year 2017 to 2018, the U.S. spent over $96 million in support of Venezuelan refugees in the region. “We know it will be a long road," Soto said of the legislation, "but we feel we have a good chance."